After years working in the modelling industry, Jessica Perez is taking her experience and giving back in a big way. The Costa-Rican born Sports Illustrated beauty has taken on and developed Tycoon: an app dedicated to helping freelancers keep tabs on their finances in one convenient place. 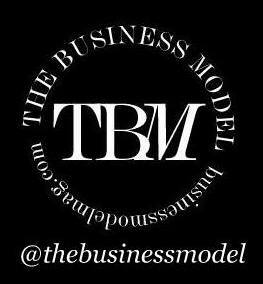 TBM chats to Perez about her experience in the industry, Tycoon, her hopes for the app's future, and working conditions. You know Shivani Persad as one of the faces of the #AerieReal campaign. In practice if not in principle, most models would balk at the idea of no photoshop, and Shivani did too. "Initially the idea of no retouching was very foreign to me and made me feel very insecure," she explains on Aerie's blog. "But my second thought was: finally! Finally somebody is saying that we shouldn’t be changing women’s bodies with Photoshop." This Trinidadian Canadian based out of New York has been modelling for five years in Canada, and the United States. In that time she's worked for clients such as Kohls, Lorac Cosmetics, Bare Minerals, Paul Mitchell, Urban Planet, Debenhams, Le Chateau, Urban Outfitters, and so on. So, not only is she killing the commercial scene, she's also paying it forward by supporting body positivity and fiercely loving her skin on social media. I first met Nicole Jedrzejko when we were both teenaged models in Toronto. Daughter to a Somali mother and Polish father, no one else looked like Nicole. Not only was she cute as button, she was kind as could be and whip-smart. Not just post-a-found-quote on Instagram "smart", real-life smart. She booked big shows, big editorials, and big commercial jobs. She signed with IMG Worldwide and traveled to Europe, the US, and Australia. She straight-up killed it. Then she stopped, went to university, and now she's a year into her Medical Doctorate. As I said, real-life smart. I caught-up with Nicole fresh from her summer working in obstetrics and gynecology in Uganda to talk about her time modelling, her transition out of that world, and her career goals in Medicine. As the story so often goes, Canadian model Ryan Keating never thought about becoming a model. One day in Toronto at Dundas Square, he was scouted by Sean Penhall from Want Management. After working in Europe and Asia for almost three years, Keating's persistence has begun to pay off. Working for blue chip clients like Dior Homme, Fendi, Gucci, and walking in over 28 shows during Men's Fashion Week (S/S 16), it's safe to say Keating is a star in the making.